Valid on all Jewellery except on gold coins, silver coins and Vedhani. Valid at eJOHRI website & app. At eJOHRI, we cater the refined and transparent policy of payment throughout the buyer s journey. Including this eJOHRI also has the no questions asked return policy for 7 days and promises you to serve the hallmarked gold and certified diamond products. The customer can discover them from the vast range of collection such as ring, earring, necklace, bracelet, pendants, bangles/kada/Kangan, nose pin, chain, gold mangalsutra, gold coin, silver coin, silver artifacts and much more! 1. The customer will get Flat 10% off (Maximum discount of Rs.1000) on all Jewellery except on gold coins, silver coins and Vedhani. 2. Valid at eJOHRI website & app. 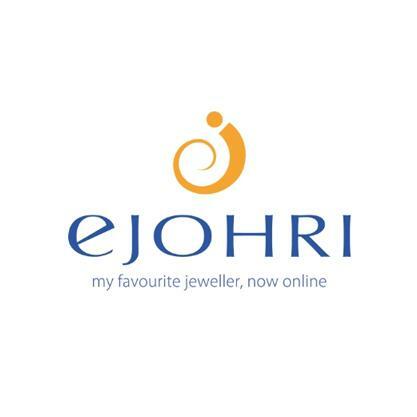 Visit the eJOHRI website or app to redeem the offer.